Got some updates this week. -Dave from PTFB came through and dropped off my suspension parts. -After Dave came by, I got my control arms fully disassembled. Once I got them dissassembled, I fitted up the AFCO lower control arm bushings in the frame and tack welded the sleeves in. Those things are awesome! -Frame, suspension and other engine bay parts should be getting dropped off for sandblasting this week. -Finished welding in my Lab-14 lower control arm reinforcements. -Lanolin wax kit for rust proofing the insides of cavities. Congrats on the new home! Good to see you're making progress on the car. Thanks John! Hope all is well with you. I wasn't trying to get into house at this point in time but it's more-so just happening. This is pretty much what has forced me spend the money to get the car rolling again. Since I'm doing all of this rather sudden, it has lead me to chase down the best parts I can get while staying on a low budget. 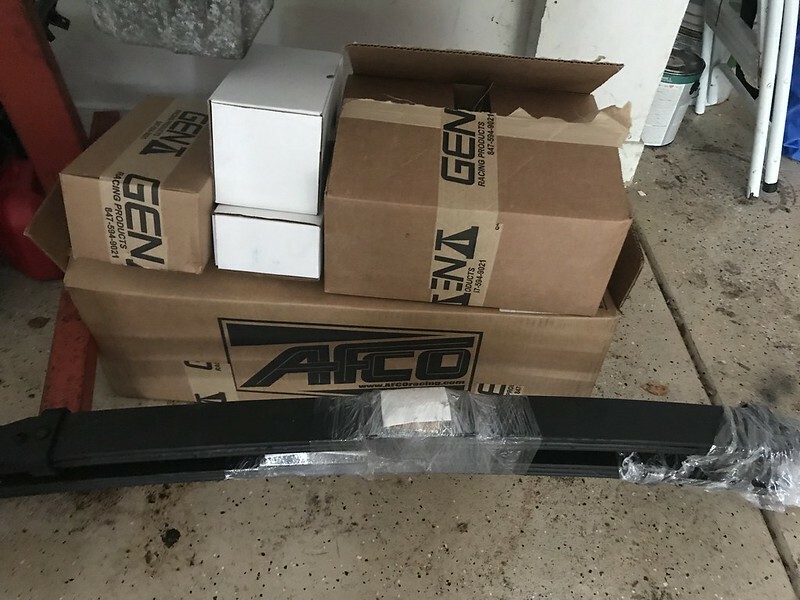 Besides the PTFB springs/shocks, AFCO bushings and some other things, I will be using GM supplied parts for the most part. I'm really excited to see how everything works out with the stock style 1LE front and WS6 rear brakes. I have the master cylinder that Dave supplies so we're going to try it as a manual setup. 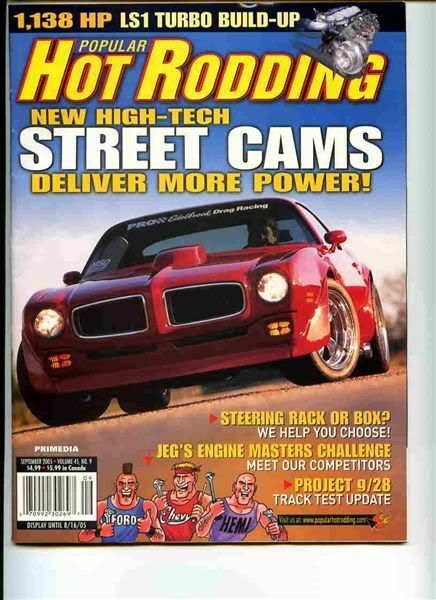 One thing I'm wondering about is whether or not I'm going to need longer control arm studs like you supplied for Zack's Camaro. Even though I have offset cross shafts for the upper arms, Dave was saying that I will probably need a lot of shims for a good alignment due to the +.5" lower and +1" upper ball joints. We will have to see how much clearance I have once the engine is positioned in the frame.